Over the years, some of the criticism directed to leadership development programs is that current programs are not robust or sufficient enough to help leaders develop the capacity that they need to lead in the global business environment. A well-known acronym to describe the environment today is VUCA (namely Volatility– change happens fast and on a large scale; Uncertainty—the future cannot be predicted with any certainty and increasingly deals with surprises; Complexity—challenges are complex, there can be much chaos and confusion and limited single causes as well as magic bullet solutions; Ambiguity—Lack of clarity about the meanings of events and their consequences). This article talks about a way in which leaders need to be developed in a VUCA world. 1. Horizontal Development—is defined as the development of new skills, abilities, and behaviors. This development is the focus of most leadership development programs today. Organizations use competencies and offer programs/interventions that develop those competencies (training, on the job assignments, action learning, mentoring and coaching, assessment feedback). 2. Vertical Development—is defined as the advancement of a person’s thinking capability. By having a “bigger mindset”, a leader is more “agile” and is able to think in a more complex and sophisticated ways resulting in an increased capacity to lead in the VUCA environment. The major differentiator between horizontal development and vertical development is that horizontal development must be transmitted from an expert while vertical development has to be earned for oneself. One critical aspect of Vertical Development according to the Center for Creative Leadership includes exposing leaders to situations that are a first time experience–the end results are important to the organization. There is a possibility of both success and failure, others “who matter” are watching and the experience creates a tension for the person that is not comfortable. This is called a “Heat Seeking” experience. Those leaders who seek out challenging experiences demonstrate learning agility and have described those experiences as periods of greatest growth. In fact, when they get to the point where they begin to develop mastery, they are ready to take something else to generate more heat. While there are many other elements to Vertical Development, it is most important to assess the culture of the organization to identify whether the organization can support a culture where risk taking is rewarded and failure in the short term is viewed as a price of long-term success. 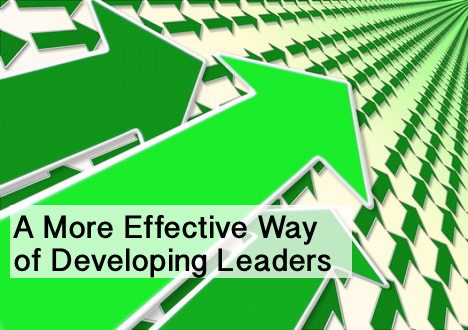 The future focus on leadership development will continue to include horizontal development because the leaders will always need to have the “basics” that horizontal development programs provide. However, OD and Learning & Development professionals will want to develop the business case and partner with Senior Leaders to create a culture and mindset that supports Vertical Development as the means to develop leaders to achieve organizational goals in the VUCA world.